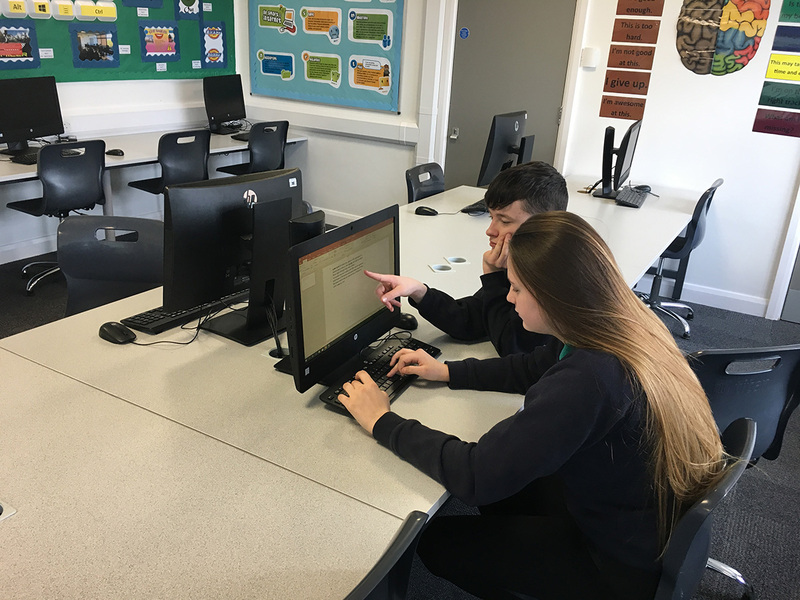 Here at The Stephen Longfellow Academy, we have moved our KS4 offering of ICT to The Pearson BTEC Tech Award in Digital Information Technology. This course will enable students to develop sector-specific knowledge and skills in a practical learning environment through vocational contexts by studying the knowledge, understanding and skills related to user interface designs, data management, data interpretation, data presentation, data protection and effective use of digital information technology as part of their Key Stage 4 learning. This builds on the learning that has already taken place at Key Stage 3. What will students’ study in this subject? Learners over this half term have started their first coursework assignment which focuses on investigating user interface design for individuals and organisations. The learners first step was to research two different types of user interface and assess the different techniques that will allow a user to use an interface efficiently. Learners will incorporate all their learned knowledge during lesson time and will explore factors such as user requirements; ease of use and accessibility; performance and response time; and the user experience. Over the coming terms, students will investigate how to use project planning techniques to manage their own digital project. They will discover how to develop and review a digital user interface, explore how data impacts on individuals and organisations, draw conclusions and make recommendations on data intelligence. Students will be required to develop a dashboard using data manipulation tools, explore how modern information technology is evolving and they must consider the legal and ethical issues in data and information sharing and understand what cyber security is and how to safeguard against it.